In a 2014 National Journal poll, 66% of Hispanics who got a job or entered the military directly after high school cited the need to help support their family as a reason for not enrolling in college, compared with 39% of whites. Over the past decade, the Hispanic high school dropout rate has dropped dramatically. Hispanics are making big inroads in college enrollment. In 2014, 35% of Hispanics ages 18 to 24 were enrolled in a two- or four-year college, up from 22% in 1993 – a 13-percentage-point increase. Even though more Hispanics are getting a postsecondary education than ever before, Hispanics still lag other groups in obtaining a four-year degree. Another reason why Hispanics lag in bachelor’s degrees is that nearly half who go to college attend a public two-year school, or community college, the highest share of any race or ethnicity. Hispanics are significantly less likely than other groups to have student debt. Majority-Hispanic neighborhoods are likely to have whites or blacks as the second-most populous group in the area. Majority-white neighborhoods are likely to have Hispanics as the second-most populous group. It’s unlikely blacks will be the number two group in a white neighborhood. Majority black neighborhoods are likely to have Hispanics as the second-most population group. It’s unlikely that whites will be the number two group in a black neighborhood. Houston–If you took Freddy Fender, Bonnie Raitt, and Janis Joplin and mixed them all together, you would get the new up and coming star, Sherita Perez. Her band Little Spear will be performing today at the third annual East End Street Festival. For being so young, Sherita has gotten noticed by music critics and promoters. She was voted one of Houston’s top 10 bands by Houston Press in her genre of Texas Centric Americana. Born into a family of singers, instrument pickers, and preachers it was only natural Sherita would take to composing, singing, and picking a guitar. At age five, she was already composing a song about her friend Ship and she never stopped. Folk singer Don Williams once described song writing as cutting your veins and letting your story flow out in lyrics and chords. Sherita may not write about the traditional country themes of getting drunk, cheating, jail, momma, or trains but her personal story and her unique world view is woven into her music writing. Sherita has had to overcome poverty and serious health problems to get to where she is. This formative foundation has made her a strong contender to put her heart and soul into her performing. Head out to The East End Street Fest that runs from 11:00 am till 9:00 pm. 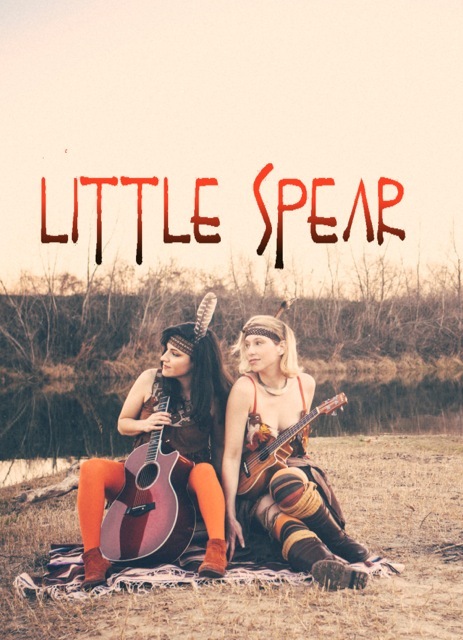 Little Spear performs at 1:00 pm at the Bud Light stage. The festival is free to the public with lots of food and fun activities for the family. This year’s music lineup has 10 bands performing with the main head liner David Lee Garza. For more information visit http://eastendstreetfest.com/. Houston– Eleven years ago Imagina Communications Inc. was born during Hispanic Heritage month. Jose Monterrosa and Frank Trevino started with $250, a laptop, and a dream to build a successful Hispanic advertising agency. Today that dream is a reality measured not only by billings but also by the business accolades accumulated along the way. In 2013, Imagina Communications was named one of Emerging 10 Companies by Houston Minority Supplier Development Council, Volunteer of the Year by the AMA Houston Chapter, and featured as Hispanos Emprededores in GenteToday.com. Principal owner, Jose Monterrosa, has built a reputation as the go to man when national and international brands want to penetrate and brand themselves among Houston Hispanics. Jose is a member of the American Marketing Association and the Houston Hispanic Chamber of Commerce. The latter experiencing explosive growth during the last five years due to the leadership of Dr. Laura Murillo and the team of consultants, which includes Jose Monterrosa. What does Jose attribute his successful trajectory to? Years of experience, in-depth knowledge of marketing and strong relationships with the community he serves. He obtained a dual degree in Mass Communication and Marketing in his native country of El Salvador. Due to his academic prowess and experience he was awarded a Fulbright Scholarship completing a combined program of Advertising and Marketing at Michigan State University in Lansing, Michigan. Jose went on learn the tricks of the trade as a staffer of Sykes Communications and then Bromley Communication, one of the largest Hispanic ad agencies. He also worked for six years at Young & Rubicam doing TV and radio production work in his home country. With recent estimates of a 1.2 trillion purchasing power of Hispanics, Jose is on the right side of history. His source of satisfaction is doing a good job and measuring the success of his clients. He is always ready to pay it forward with causes that help Houston Hispanics in a positive way such as Texas Children’s Hospital and Vecinos Health Centers.